Using the U.S. wall at the border with Mexico as a focal point, two experts examine the global surge of economic and environmental refugees, presenting a new vision of the relationships between citizen and migrant in an era of “Juan Crow,” which systematically creates a perpetual undercaste. Edward S. Casey is Distinguished Professor of Philosophy at State University of New York, Stony Brook, and the author of several acclaimed books, among them Getting Back into Place and The World at a Glance . MARY WATKINS is Professor of Psychology at Pacifica Graduate Institute in Santa Barbara, California, where she also serves as director of Community and Ecopsychological Fieldwork and Research. Her previous books, widely read, include Toward Psychologies of Liberation , coauthored with Helene Shulman, and Invisible Guests: The Development of Imaginal Dialogues . We live in an era of forced migration with unprecedented global dimensions. How are we to peaceably and justly coexist―those of us who must leave our homes forever to meet our human needs, and the rest of us, who often find our neighborhoods, towns, and cities changing as a result of these necessary migrations? In particular, how can we create a compassionate and just response to new neighbors who have come to the United States to find work or asylum? We offer this book as an invitation to a sustained reflection on these questions. Migration is “forced” when people flee from ecological degradation and devastation, violence (as part of wars both international and civil, the drug trade, and genocide), severe governmental corruption, failing or inadequate infrastructure, and absolute destitution.1 Desperate unfulfilled needs for adequate food, shelter, health care, education, and employment drive people to cross national borders, leaving their families, friends, home communities, and countries of origin. If all current international migrants on earth formed a single nation, it would be the fifth-most populous on the planet, roughly the population of Brazil. The number of migrants is growing. We are neighbors. Throughout the world, citizens of relatively more prosperous nation-states are grappling with their new migrant neighbors along a continuum from outright and often violent rejection to empathic hospitality and welcome: Israelis with Eritreans, for example, or the French with Gypsies, Spanish with Moroccans, Danes with Tunisians, Chinese with Vietnamese, Indians with Bangladeshis, Mexicans with Guatemalans, and Americans with Mexicans. Nations all over the earth are building separation barriers to literally wall out those attempting to enter under extreme duress, with examples of such walls visible worldwide: in Greece, against Turks; in India, against Bangladeshis and Burmese; in Iran, against Pakistanis; in Israel, against Palestinians; in South Korea, against North Koreans; in Saudi Arabia, against Yemenis and Iraqis; in Spain and other European Union nations, against Africans, Thailand against Malaysians; and in the United States, against Mexicans and others from Latin America. As climate change and global income disparities worsen, the number of environmental and economic refugees will further increase, making it imperative for us to re-imagine not only the character of international borders but also the human character we seek to cultivate, one that can guide us toward peaceful and just coexistence. As it turns out, these twin goals are inextricably linked and best pursued side by side, as we do in this volume. 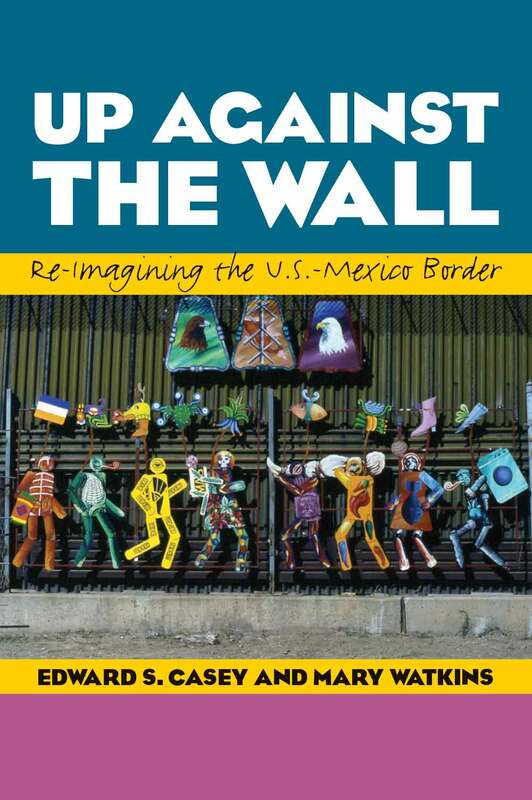 In this book, we pursue the re-imagining that our present crisis of forced migration requires through a close consideration of the situation at the U.S.-Mexico border and the shadow this situation casts on Mexican and U.S. communities far from the literal border. The Chicana writer Gloria Anzaldúa describes the U.S.-Mexico border as an open wound, “una herida abierta, where the Third World grates against the first and bleeds” (1999, 25). Nowhere else is this wound between the First and Third Worlds as gaping as it is between the United States and Mexico. Here the self-proclaimed “leader” of the “First World” tries to close off its lands as if it were a gated community, locking out newcomers in need and ironically seeming to forget that most of its citizens’ own ancestors were themselves newcomers to Native American and Mexican lands. Approaching global forced migration through a stark confrontation with the formidable wall recently built at the U.S.-Mexico border, we will grapple philosophically with the nature of borders. We will bring you up to the wall itself, not neglecting its sheer physicality and varied design. We offer a view from the wall of the stark display of the vexed dynamics of forced migration. An international border such as that at La Frontera (the Spanish name for the U.S.-Mexico border) is a place where we can clearly see what pernicious forms of globalization produce, a vision that is critical if we are to re-imagine national borders and the relation between settled citizens and newcomers without prescribed documents. We examine not only the literal separation wall at the U.S.-Mexico border but also the less literal yet no less real “walls” encountered between U.S. citizens and their Mexican neighbors now living in American cities and towns―barriers equally fateful in their consequences.2 After migrants cross the death-dealing desert and mountains at La Frontera, the initial woundings at this international border are harshly repeated in the towns and cities where they try to settle, too often finding themselves once again locked out of basic human rights. Multiple forms of political, economic, and social exclusion, reinforced by racist projections, create daily “precarity” (Butler 2006), including the overhanging threats of detention and deportation. We will move between a philosophical grasp of the nature of borders and boundaries as they reflect and affect issues of migration and a psychosocial understanding of the effects of social exclusion on both the newcomer and the citizen whose own family arrived earlier in history. To accomplish this task has required intertwining insights from a philosopher, Edward Casey, and a liberation psychologist, Mary Watkins.3 We join forces in these pages to see through the multiple barriers that have arisen as the United States has sought to wall off its friendly neighbors to the south. What began in 2002 as an attempt to educate ourselves personally about the relations between Mexico and the United States at the border itself, and between Mexicans and Anglos in our cities of residence (New York and Santa Barbara), drew us into a more than decade-long project. Circumstances at these borders have continuously worsened during this time, creating a humanitarian crisis not only at the border itself but also in many American towns and cities, as well as within hastily constructed immigrant detention centers throughout the United States. In the wake of 9/11 and a grim economic downturn, Americans are witnessing the criminalization of people who are poor and have left home to search for basic human rights of adequate shelter, food, health care, education, and security. The step of criminalization is an essential ingredient in the rapid rise of the detention and deportation industries in the United States, highly profitable adjuncts to the privatized prison system. The dehumanizing tide of American racism has once again risen, singling out Mexicans who are indigent and lack proper documents. Citizens in neighborhoods, towns, cities, and entire states―despite being enlivened by Mexican culture and sustained by the hard labor of Mexican workers―are turning against those of Mexican descent. Some citizens have taken to hunting down, harassing, scaring, beating, and even killing Mexicans almost as pastimes. This decade strikes a tragically familiar chord in American history: after having given their labor for their “hosts’” convenience, often suffering abuse in the process, those who have labored are run out of town or country in violent and unjust ways. For the last decade, we have moved back and forth across the border, studying the wall and meeting with border activists, Border Patrol authorities, migrants, and citizens. Closer to home, we have talked with Mexicans living in our cities about their struggles far from home. We have studied immigration legislation that has been passed by cities and towns―and legislation that has failed to be passed by the federal government. While we have written this book from our professional viewpoints, those of a philosopher and of a psychologist, we have encountered the rising tragedy primarily as neighbors. We are all neighbors to people who worry that immigrants will take their jobs, that their culture and language will fade, and that tax revenues will be exhausted in supporting too many newcomers, thus undermining their own security. But we are also all neighbors to the newly arrived, to those who had to leave their homes and families to survive, who find themselves misconstrued as lazy intruders when in fact they desperately desire to work and contribute to their communities. We have both had to realize our own version of border crossing, moving away from the comfort and familiarity of our previous work into the arenas of immigration, detention, deportation, national security issues and myths in a post-9/11 world, and the history of the southwestern United States and Mexico. We have struggled with and enjoyed Spanish as we have taken part in bilingual conversations. Our field method has consisted of taking steady if somewhat irregular steps into places and relationships new to us. We walked the banks of the Rio Grande, talking to the Border Patrol agents we encountered, and we worked alongside Latino activists involved with local immigration issues. The strengths and limitations of this book reflect our shared social location: Anglos who have become preoccupied with matters pertaining to La Frontera. Much of the literature about the border is by Latinos, and rightfully so. Little work that might fill gaps in Anglo understanding and particularly Anglo border psychology has been done. We began this project as an effort to address fellow Anglos who are ready to confront border issues in themselves and in our nation and world. However, our ideas have found a warm reception with Chicanos and Mexicans, many of whom feel deeply about the issues we take up in the following pages and welcome the ways we are pursuing them. International audiences have also welcomed our reflections, for their own countries are finding themselves either losing citizens through migration or “hosting” migrants, however ambivalently. We hope our efforts have led to insights that will be illuminating to those on both sides of the border, as well as on both sides of political divides over questions of immigration. We are convinced that all parties involved in border dynamics need to develop common cause if a more humane coexistence is to emerge at this historical moment. Part 1 of this book, written by Ed Casey, focuses on the history and fate of the wall that the United States built at its border with Mexico, placing special emphasis on the role of the wall as a physical structure―its proposed justification, its actual construction, its location, and its varied effects on the local inhabitants and natural environment. Chapter 1 examines the relationship between the separation wall as a material entity and the U.S.-Mexico border qua border. However closely intertwined they may be, they are by no means equivalent. The wall purports to be the materialization of the border, but the border itself is a projected entity, the creature of a treaty signed in 1848. The elegant simplicity of the borderline as designated on official maps contrasts with the material ingredients of a wall that has been built of iron, steel, and concrete. Intended to be airtight and untrespassable, border and wall alike stand in contrast to boundaries, which are porous and open-ended forms of edge, giving breathing space to those who pass through them. The first chapter closely examines the difference between boundaries and borders, defined here as two major forms of edge. Whereas borders in this account are rigid and unyielding, boundaries encourage (or at least permit) uninhibited movement across themselves: they are permeable. While the wall at La Frontera purports to be a physical embodiment of the U.S.-Mexico border, a closer look shows it to possess various boundary aspects that serve to complicate, and in certain cases to undermine, its status as a strict border. From another perspective, the U.S.-Mexico border has shifted from being a porous boundary in earlier times to becoming one of the most highly militarized borders in the world today. The wall, whose construction followed NAFTA in the mid-1990s and which was further fortified after 9/11, is one built against a wave of want, of unfulfilled needs, of people displaced by forces larger than themselves. Its purported purposes of immigration and drug control are only half the story. In cruel fact, the wall contributes directly to creating and supporting a world of low wages and high profits. It immobilizes many people just south of the border, many of whom work for low wages in the maquiladoras on the Mexican side. It also ensures that those who manage to cross into the United States must try to be as invisible as possible once there so as to avoid detention and deportation. Thus silenced, many are unable to fight effectively for fair and safe working and housing conditions and for access to health care and higher education. They are subject to identity checks at random moments, and if unable to show adequate documentation of citizenship, they are held in detention prisons and deported to their countries of origin in unprecedentedly large numbers. The succeeding three chapters of Part 1 focus on particular locations of the wall, two cities in the western part of La Frontera and a region in the eastern portion of the wall’s expanse. Its construction having begun in the mid-1990s, the massive wall continues to grow and to cast its baleful shadow over inhabitants on both sides. Chapter 2 takes up the situation at the twin cities of Nogales, Sonora, and Nogales, Arizona. We show both symmetries and dissymmetries in the way the border wall affects these adjoining cities, which are linked by a long history of close association but are now severed by the border wall. Characterizing the two towns as “incongruous counterparts,” we delineate the fateful interaction of citizens of both communities, at once dependent on each other (and often related by ties of blood or marriage) and yet riven by the presence of the wall―sometimes driven literally underground into sewers and tunnels that connect the two cities and sometimes forced to the far edges of the wall in desperate efforts to cross it. We also explore the emergence of hope in the face of despair: hope for a better future despite a discouraging current moment. Tijuana, discussed in chapter 3, presents the very different situation of a town of recent origin that has mushroomed into a major city with all the growing pains of an adolescent metropolis. This chapter focuses particularly on the fate of the Tijuana Estuary, located on the American side but heavily polluted from the Mexican side; exacerbating the problem, the United States has begun building additional walls nearby, to the south, threatening to clog the already suffering wetlands. We pay special attention to the environmental dimensions of this vexed circumstance, dimensions that affect the whole region at this westernmost edge of the border―indeed, the entirety of La Frontera. In Part 1’s final chapter, we examine the differential impacts of the border wall throughout the Lower Rio Grande Valley, where the U.S government has seized land for its wall, expropriating citizens’ backyards as well as portions of a college campus. We note the paradoxes generated by the many gaps in this purportedly continuous and impassable wall. The Rio Grande River forms the focus of this chapter because of its unique role as a naturally given basis of the border―but a basis that presents a significant quandary with respect to the exact location of the borderline between the United States and Mexico. The chapter closes with a cautionary tale illuminating the striking contrast between an artificially constructed wall and an earthbound river. A brief postlude concludes Part 1. Concentrating on Nogales, Tijuana, and the Lower Rio Grande Valley enables us to enter more deeply into a detailed description of the border wall and its effects and thus to investigate how it has intervened in the daily lives of those who are directly affected by its presence. It also allows us to compare the differential effects of the wall’s presence in terms of several factors that thread through the entire discussion, including the role of estuaries, rivers, and other natural phenomena; the environmental consequences of the wall’s construction; modes of border crossing and surveillance by the Border Patrol; and issues of immigration and (to a lesser extent) drug trafficking. These various factors combine into a complex verbal palimpsest that amounts to a spoken portrait of La Frontera, one based on narratives of local citizens and our own experiences in its vicinity. In each of the three case studies treated in Part 1, we bear witness to significant variations of the wall’s divisive presence, a presence that is not only geographical and historical but also cultural, racial, and political. In this opening part of the book, we are concerned to show the many ways in which the wall is self-defeating, even as (and often to the very extent that) it is fiercely reinforced and surveilled by the U.S. Border Patrol. At the same time, certain basic themes sounded here will resonate through the remainder of the book―above all, the extensive and intensive suffering occasioned by the building of a single (and in some instances a double and triple) wall along the land portion of the southern U.S. border and the deeper human wounds that the wall’s continuing existence causes. Part 2, written by Mary Watkins, starts at the westernmost part of the border, at Friendship Park. We soon depart the actual border and the material wall, however, looking instead at how we find their multiple echoes in the divisions in our neighborhoods, schools, and daily lives. The wall that now marks the U.S.-Mexico border concretizes the metaphorical walls that have been born of racism, fear, and avarice in many towns and cities throughout the United States. Part 2 examines how the border operates at psychological, interpersonal, and intercommunity levels. As an opening example, chapter 5 traces how the project to radically redraw the U.S.-Mexico border in 1848 affected Santa Barbara, California, established as the primary Spanish outpost in Alta California. When the literal border moved southward as a result of the Mexican-American War, westward-moving Anglos rapidly gathered economic, social, and political power in towns and cities in the Southwest. Walls of various descriptions―some visible, many invisible―were put into place between Anglos and those of Mexican descent, reducing many Mexicans’ land ownership and shifting their predominant occupations to poorly paying wage labor. Pueblos and barrios became marked off from the increasing Anglo population. Segregation of schools, beaches, neighborhoods, and even movie theaters became commonplace. Such measures, which tended to relegate people of Mexican descent to internal colonies, ensured an easily available low-paid workforce while consigning U.S. citizens of Mexican descent and noncitizens of Mexican descent to an underclass caste status. Chapter 6 reflects on the creation of a racial caste system in the United States, an arrangement that has consigned Mexicans to a low socioeconomic status, alongside Native Americans and African Americans. Several critical questions emerge here: How do we continue to construct and sustain racial caste in the United States? Whom and what does such a caste system serve? How does this system function with Mexican migrants, and how does it affect them? We examine how globalization creates internal colonies where people struggle with too few resources, condemned to assume a permanent position of low-wage labor and unemployment from which too few escape. We also take up the link between mass incarceration in the United States and the creation of multiple detention centers for migrants without documents. Following the work of Fanon and Memmi, we outline the psychological and interpersonal effects of such displacement on both those who are “colonized” and those who profit from such displacement. In chapter 7, we look at the psychological and spiritual costs that the current immigration system imposes on Anglos. We focus here particularly on the price of social and historical amnesia, of “othering” and scapegoating, and of closing one’s door in the face of others’ need as these affect the psyches―the souls―of citizens. Turning to restorative shame, we investigate how an acknowledgment of historical injustices can help heal and reconcile damaged and divided communities. In chapters 8 and 9, the final chapters of Part 2, we animate a prophetic imagination that can show us how to live our borders differently. What results when we refuse to accept an imposed limit, such as the U.S.-Mexico border wall, and not only contest it but create very different modes of being that resist and transfigure it? We move from the transgressive nature of border-wall art to varied examples of embodied prophetic imagination, examining cities where local citizens have worked out ways of living together that exemplify an emerging transborder ethics. Beginning with the United Nations International Convention on the Protection of the Rights of All Migrant Workers and Members of Their Families, we describe initiatives such as border peace parks, humanitarian initiatives at the border, sanctuary cities, provision of driver’s licenses and identification cards, migrant-work centers, enfranchisement of migrants to allow political participation, living-wage initiatives, and education initiatives for nonmigrants that inform them about the challenges migrants face daily. We also consider forms of reconciliation between migrants and citizens in situations where people are willing to acknowledge the dark histories that shadow their communities and to imagine and forge together a future less burdened and stained by racism and injustice. We hope that this mosaic of approaches―meant to be exemplary and suggestive rather than comprehensive and encyclopedic―will nourish readers’ imaginations and provoke the desire to live borders differently at the levels of the individual psyche, neighborhoods, schools, towns and cities, and between nations. This is where we place our hope. We are now witnessing the doors of a country with great resources closing against a people who are asking for an opportunity to work very hard in exchange for decent wages and basic human rights. Throughout the world, millions of people are far from home, searching for this same opportunity and the same rights, desperately anxious as closed doors shut them out. How America works out its relationship to the U.S.-Mexico border in terms of the concrete relations between citizens and newcomers will set an example, for better or worse, for the rest of the relatively privileged world. How Americans answer the human address of the Mexican migrants among them will also determine whether American citizens can retrieve their souls from habits of fear, greed, neglect, derision, and unjust treatment. The U.S.-Mexico border is a place where two historical-cultural tectonic plates are grinding against each other. A seismic change in national and personal attitudes toward forced migration is desperately needed in the United States, as in many other nations. To alter these general attitudes most effectively, we must begin with particular cases. There is no more revealing place to start than with the circumstance at La Frontera and its many repercussions in neighborhoods and cities, whether located next to the wall or far from it.